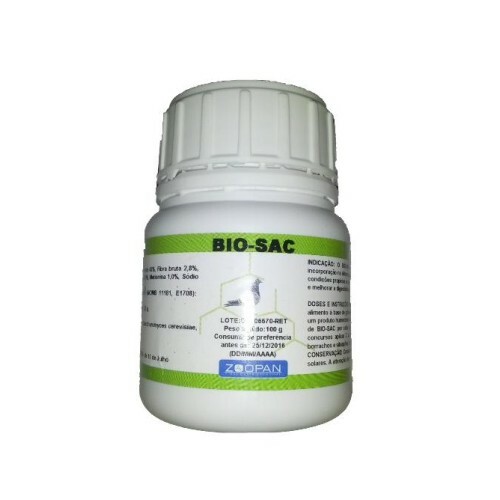 Bio Sac 100gr - probiotic - by Zoopan is a high quality probiotic specifically designed for Racing Pigeons. - Prevents colibacillosis and salmonellosis. - Regenerates the intestinal flora of pigeons. - Prevents and cures salmonellosis and colibacillosis. - Strengthens the body's defenses. - Regulates the metabolism of the pigeons. - Recommended to administered after an illness, treatment with antibiotics and weakness.